Wow, just wow! From the moment that family friendly Crash Bandicoot N.Sane Trilogy was delivered through my door last Friday we as a household have been hooked. As soon as the familiar voice-over begins on the intro screen it is as if I have been transported back to when I was 16 years old when the original first edition came out on the the Playstation 1. I must confess that at this point I wasn’t a huge console gamer, the PS1 infact belonged to my 8 year old sister who had parted with her birthday money earlier that year at Woolworth’s. I was still pretty much hooked on the Atari ST however changes were beginning to happen as many of my friends began to go down the console route. 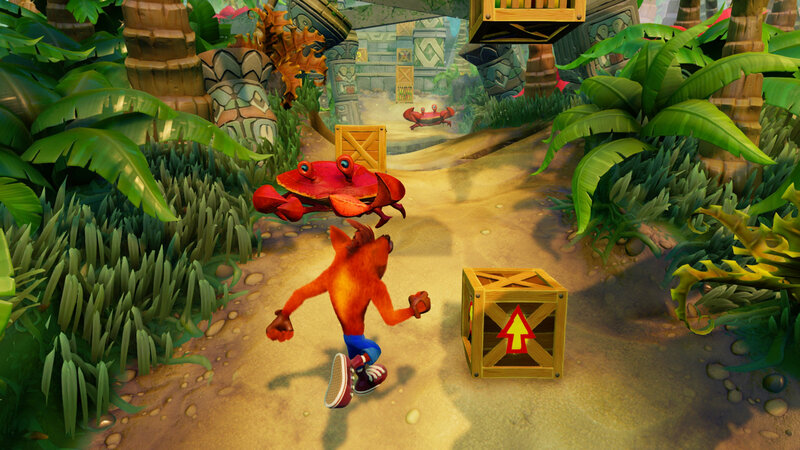 Crash fearlessly places his life in your fingers! So does Crash Bandicoot live up to the hype that it has generated since its release? Well quiet simply yes. There are many occasions whereby remastered games do not do particularly well, especially when gameplay, graphics or sound has been tweaked however despite veteran developer Naughty Dog not having a role with this particular remaster, Vicarious Visions have done amazingly good at keeping everything how it should be while delivering the game to the present gamers. Currently Crash Bandicoot N.Sane Trilogy is sitting no.1 in the UK charts and has according to gamesindustry.biz “narrowly beaten Horizon: Zero Dawn to become the UK’s biggest single boxed release of the year.” Pretty impressive! Having all 3 titles under one game; Crash Bandicoot; Crash Bandicoot 2: Cortex Strikes Back & Crash Bandicoot 3: Warped allows you to chop and change which one you would like to play from the main screen. Its almost nostalgia overload. Even though you know what to do, you are doomed to do it wrong over and over! I began on the first title, just to refresh myself on the storyline and settle back into gameplay. N.Sanity Beach it was then! It was strange having just a couple of buttons to press at first, namely jump and spin attack while navigating along the path. It was great to be able to control Crash not only on the thumb-stick but also on the analogue buttons! For you younger folk, the PS1 controller didn’t have a thumb-stick! As I passed through the Jungle Rollers & The Great Gate levels, the unforgiveness of the Crash Bandicoot franchise began to show it’s furry little head. The need to totally 100% time your jump to perfection in order to land on the sweet spot came about very early on. The sparseness of the checkpoints mean that if you die you are required to constantly repeat several obstacles before inevitably falling once more down the hole that you are stuck jumping over. 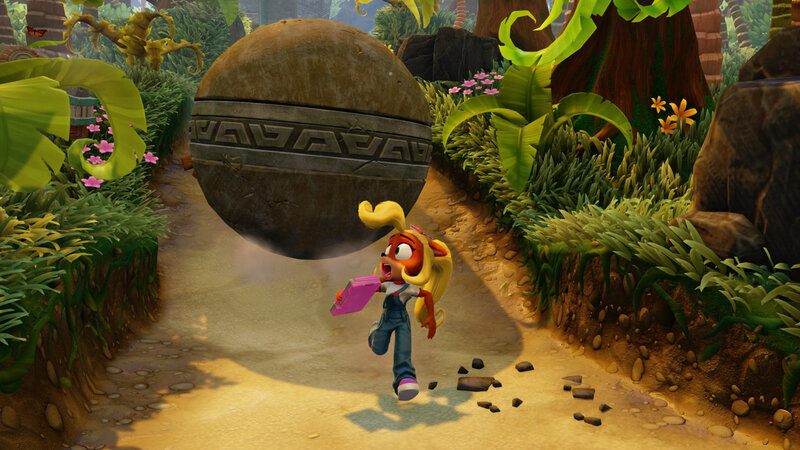 Having the ability to swap and play as Crash’s sister Coco is a nice alternative however there isn’t a noticeable advantage to be had. 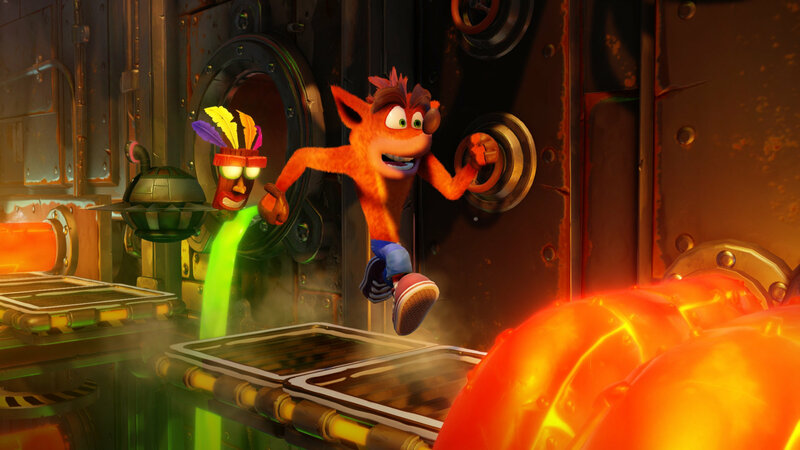 Although the frustration quickly kicks in, it serves a great reminder of how Crash Bandicoot was back then, and yet somehow we coped, there certainly isn’t an option to change the difficulty and make the game easier. I have already seen many gamers complain on social media that they cannot complete levels such as Hog Wild and that there must be a “glitch” preventing them from finishing however in order to master Crash Bandicoot you need to know every jump, position to land and dodge like the back of your hand to have any chance of being a champion. These skills are massively required when taking part in the time attacks for the precious Ankh relic. Coco wasn’t a big fan of Miley’s wrecking ball! So with the huge success of Crash Bandicoot will Activision be prompted to remaster other titles such as Crash Team Racing or Spyro? Would they be as well received like we have seen here? I know that my little sister would probably be the first in the queue upon each release as she has effectively stolen her partner’s PS4 to specifically play Crash Bandicoot. She hasn’t gamed for years but somehow felt the urge to replay one of her favourite childhood games, maybe this is the start of the computer games revival for a lot of past gamers! Go forth and collect your Wumpa fruit people for this is a game not to be missed!